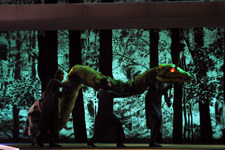 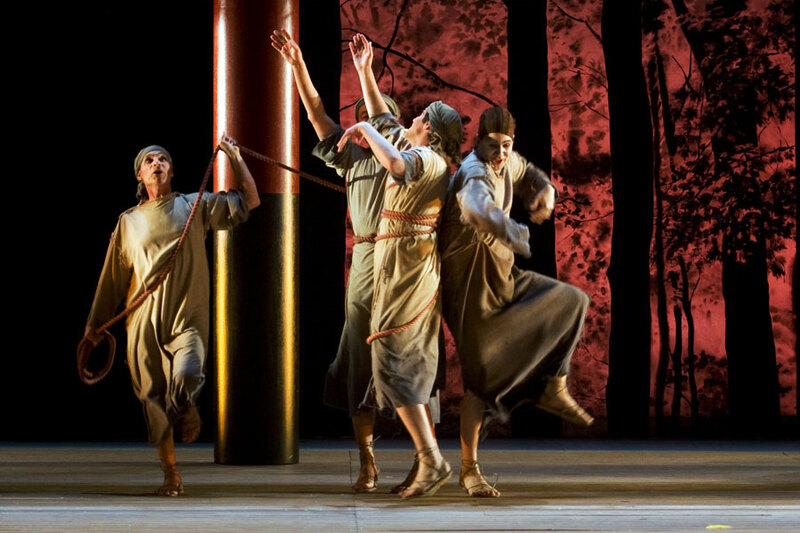 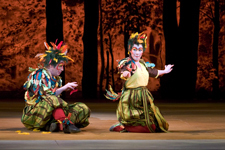 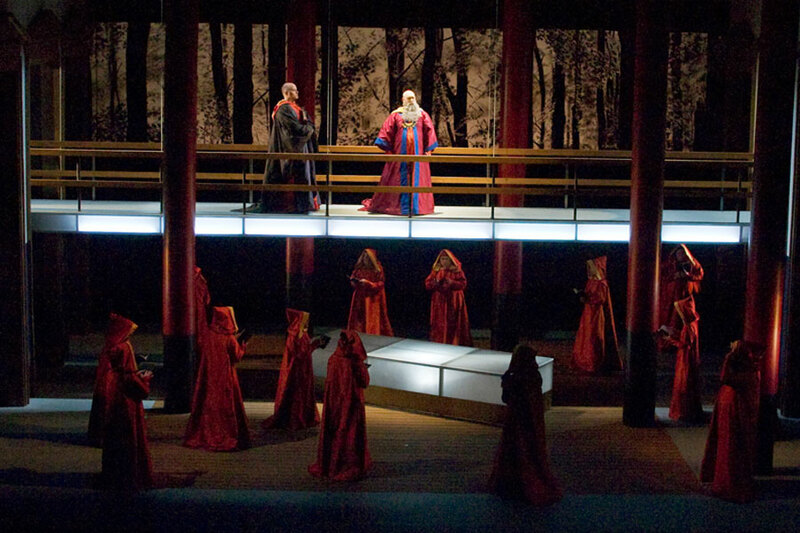 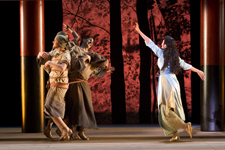 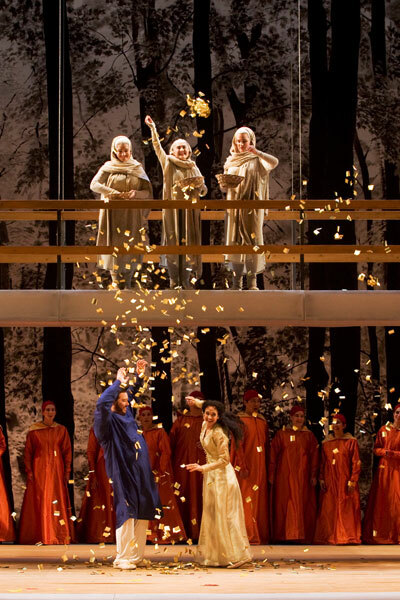 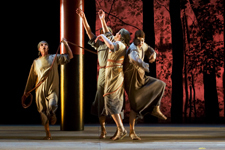 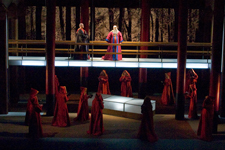 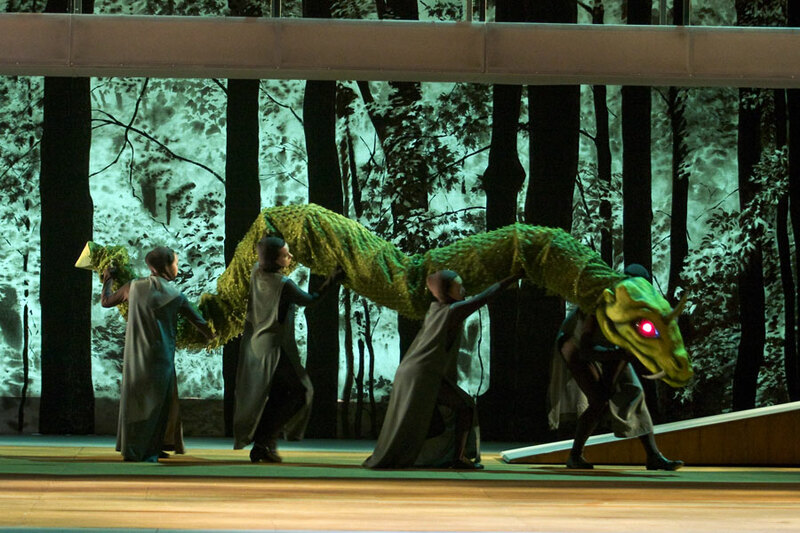 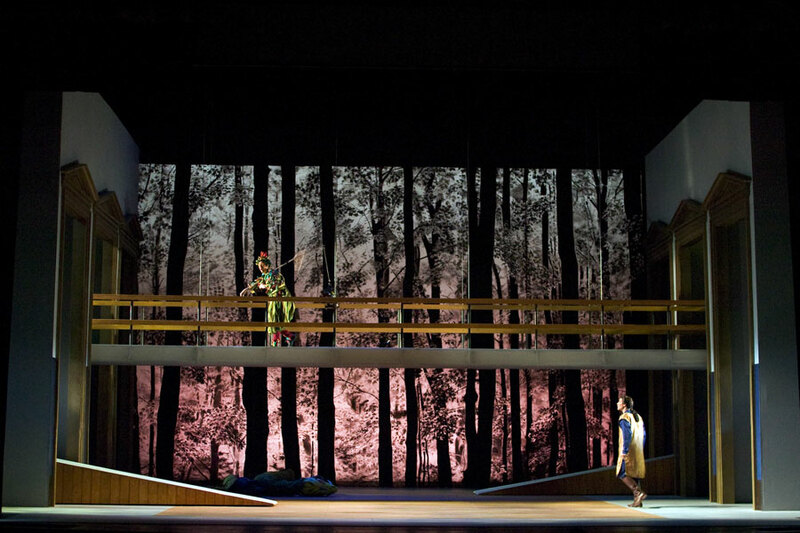 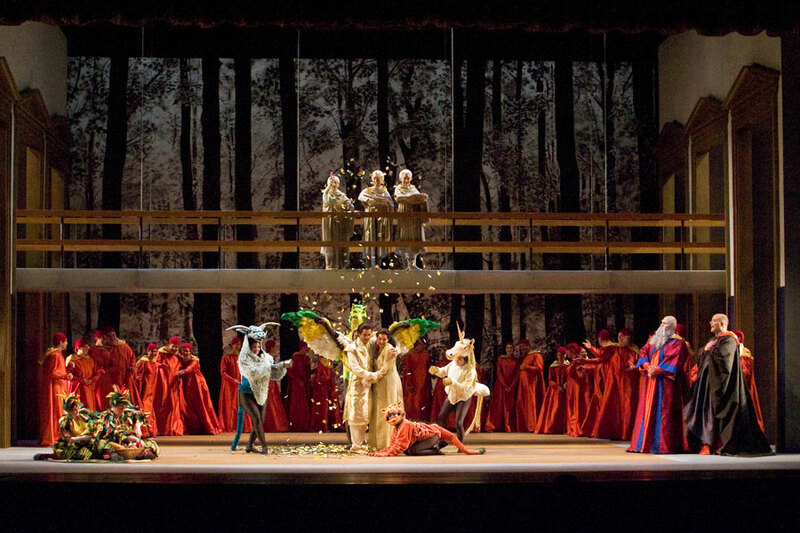 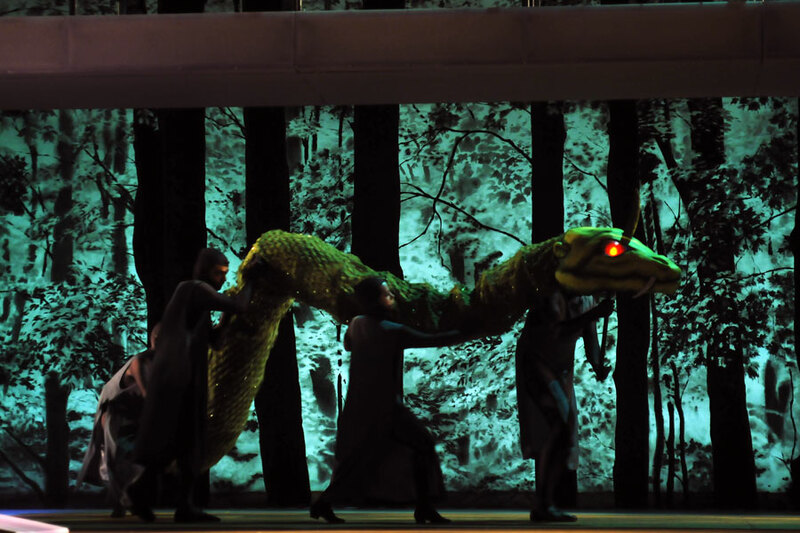 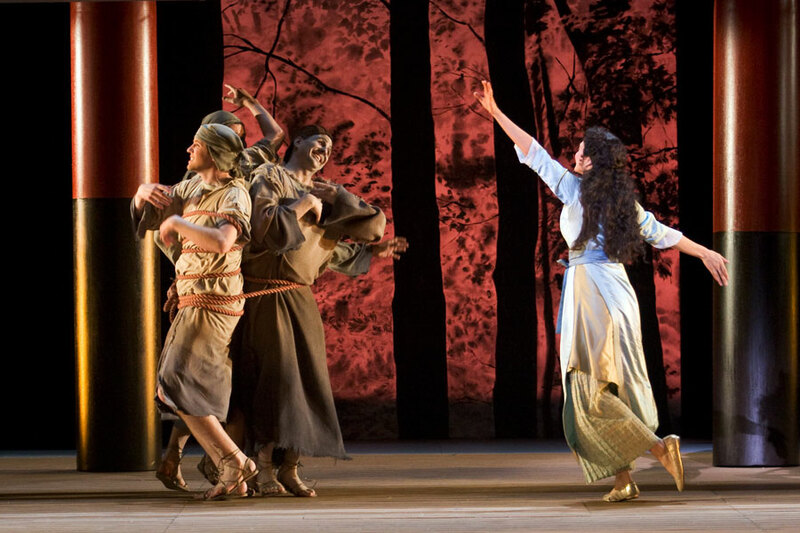 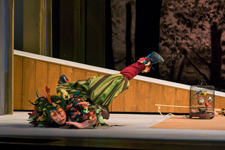 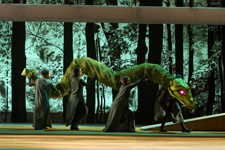 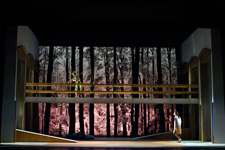 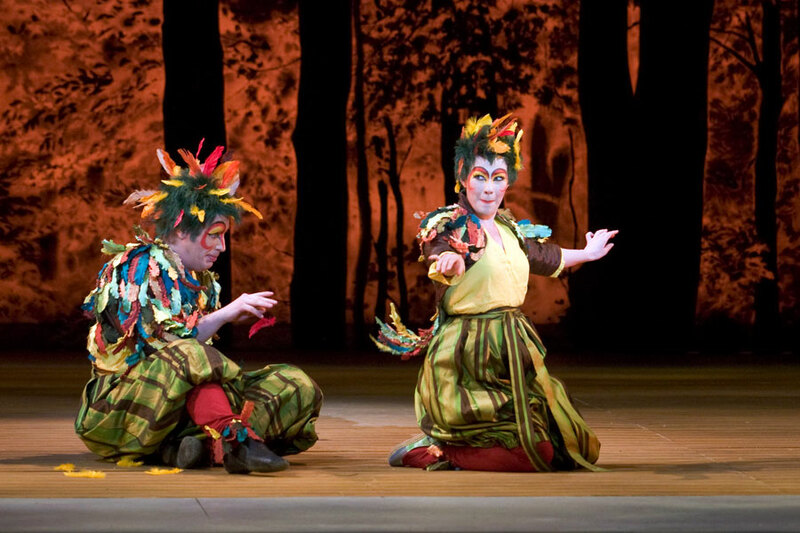 A new production created for Opera San Jose. 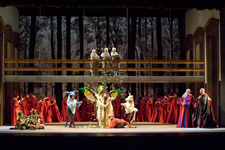 "SPECTACULAR… Fly to the California Theater as Opera San Jose is presenting a production of The Magic Flute that is big fun, deeply cast, stunning to look and sophisticated in whole new ways for this company… the key to the production if director Jose Maria Condemi, who has universalized the story by layering in an Asian element… the final scene is a spangled fairy tale come to life"
"LAVISHLY STAGED… Opera San Jose continues to enthrall audiences with a completely rethought and lavishly staged production. 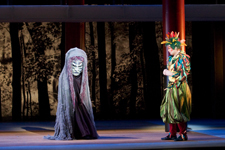 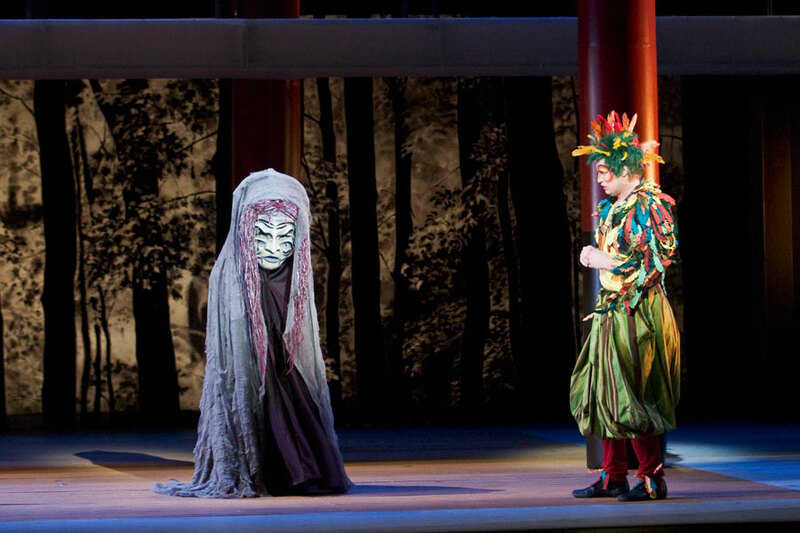 The concept that director Jose Maria Condemi brought to life was a mixture of Asian influences ranging from Japanese Noh play to giant puppets and masks… it all operated on several levels with an opening night audience appreciating the voices on display as much as the intricate staging"